Volunteering in Asia is an opportunity for you to go to a foreign country and do volunteer care work that has the power to impact you and the people you help. Care centres in Asia are filled with chances to do care work because there are children who need a wide assortment of help and care. You can work in a multitude of Asian countries such as Cambodia and Mongolia. Volunteering with children in Asia is a very rewarding experience that has the power to be life-changing. 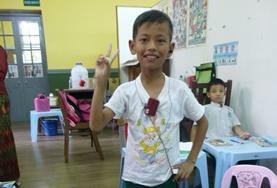 Care work in Asia can be done in day care centres, kindergarten classrooms, and special needs care centres. By doing volunteer care work in Asian care centres you will be making a contribution to the lives of the children you help. 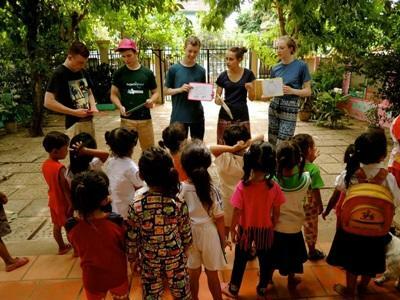 Children in Asia do not care if a volunteer has any prior experience in care work and neither do we, as long as you are interested in travelling and passionate about volunteer work you are an ideal potential volunteer. Volunteer work in Asia is as diverse and multifaceted as the culture and people you will encounter. Volunteers are encouraged to use their interests and skills when choosing a project. 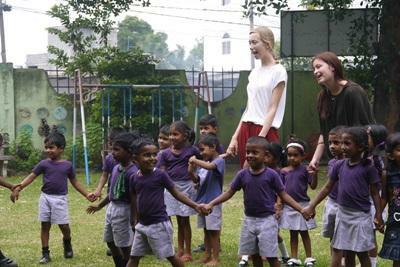 Childcare and volunteer work with Asian children is extremely varied. You can participate in the daily running of the centre which includes preparing meals, cleaning, doing laundry, and general building maintenance, or more direct childcare activities which includes teaching and spending time with the children. This more hands-on interaction with the children can be as simple as reading them a story, helping them write a letter, or playing a game with them. Care centres for children and adults with special needs in Asia deal with people who have physical or mental disabilities. Volunteer work with adults and children with special needs range from medical volunteer work to helping these people accomplish daily activities. Special Ed children and adults are sometimes in schools for the handicapped, blind and deaf, and are trying to learn how to live a more independent life – not needing other people to help them do basic tasks and becoming more self-sufficient. Volunteer care workers can help these people find new ways to overcome their disabilities and become more proficient in dealing with daily obstacles. "I was working at The National Baby and Children Center (NBC). The majority of the children are mentally and physically disabled. My work consisted of helping with the day to day running of the centre and caring for the children. I was feeding, washing, changing nappies and giving the children lots of attention. I believe that giving the children attention is very important – many of the children can really smile when you spend some time with them." 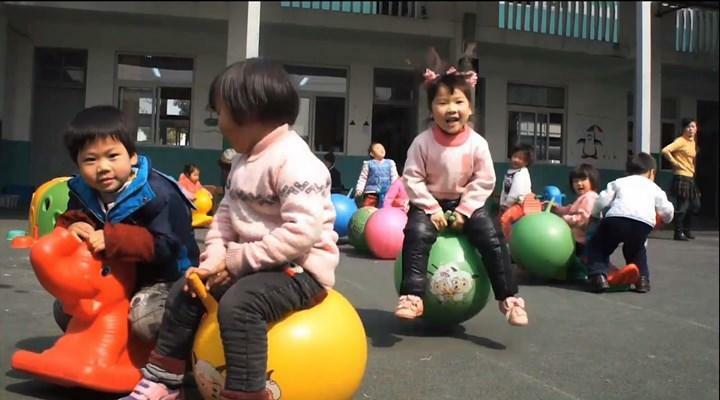 Day Care centres and Kindergartens in Asia are wonderful places to do volunteer childcare work. Dealing with such young children in a foreign country can be quite difficult at first. However, once you develop a routine and get to know the children on an individual level your volunteer care work will be less trying and more fun. Being a member of the volunteer care projects in Asia is a way of sharing yourself with others. These children are avid students who are eager to get to know you and show you who they are and where they come from. This experience has the potential to open your eyes to a new world, new people, and new ways of life that is ground breaking. 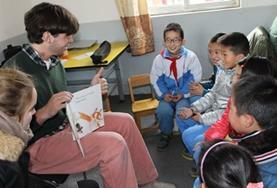 Over the years, our volunteers have worked with children at orphanages and residential care homes in Asia. They have done incredible work at these placements, improving living conditions there and creating opportunities for children by supporting their education and care. However, we have decided to move our focus away from orphanages and homes toward community and family-based care. This is because we believe stable family environments are best for the children we work with. Read more about orphanage volunteering and our position on it. This means that instead of volunteering in orphanages in Asia, volunteers will work in placements like day care centres, kindergartens and schools, or support groups for the elderly and mothers and babies. This will help Projects Abroad build stronger relationships with local communities and – most importantly – help families stay together and flourish. We work with several kindergartens in Shanghai and volunteers are needed to assist local teachers with all kinds of educational activities, such as arts and crafts, reading and writing. 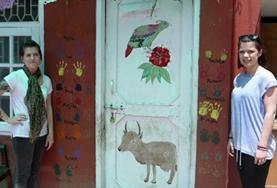 Get involved and help improve conditions for local children in Nepal by volunteering in a childcare centre in Kathmandu. Some centers have children with special needs. Gain valuable and worthwhile experience working with young and disadvantaged children. We work in day care centres and kindergartens along the west and south coasts. Work in Nepal and assist vulnerable children who are living with HIV and AIDS, relating to treatment, care and support.